We’d love your help. Let us know what’s wrong with this preview of The Pillars of Idrapha by Geoff Lichy. Humanity has discovered that they're not alone in the universe... and they may wish they were still alone. People have always looked to the stars, wondering what secrets lay among them. As humanity progresses, they develop the technology to reach them. Not just another moon landing. Really reach the stars. Twenty light-years from Earth, in the constellation of Libra, one ex Humanity has discovered that they're not alone in the universe... and they may wish they were still alone. Twenty light-years from Earth, in the constellation of Libra, one expedition stumbles upon a habitable planet. A colony ship is sent with a survey team. Two mysterious pillars are soon found, thought to be remnants of a long-dead civilization. As a massive investigation gets into full swing, the colony ship unexpectedly goes silent. No distress beacons; no escape pods; nothing. It's as if the crew vanished into thin air. A team of soldiers begins gearing up to analyze the situation. When it all goes south, the team will find their skills and sanity stretched to the limits. Something awful is taking over the colony ship. To ask other readers questions about The Pillars of Idrapha, please sign up. "No one could explain the pillars on the alien planet Zarmina. Vast, overwhelming and impossibly built, the two pillars are taller than any tree known to exist in human history. A group of scientists has been trying to take a sample from the pillars for examination, but to no avail. Days have passed without progress and frustration is building. When Giubilo, one of the ships orbiting the planet, isn't responding to any communications, the military sends a small group to investigate. Everything comes down to the pillars, which the scientists consider as the only things that will give them all the answers. No spoiler will be revealed here – all I can say is that the scientists were both right and wrong in one fell swoop. The story ended as mysteriously as it started, but still provided a satisfying conclusion. 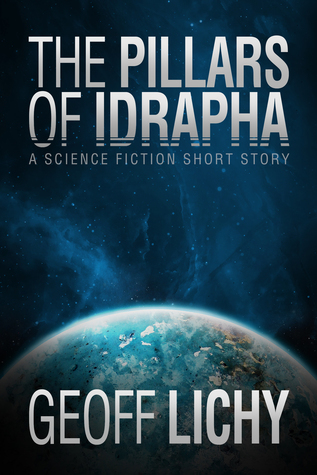 Lichy’s The Pillars of Idrapha is a fast paced, superb must-read for sci-fi and horror fans. I look forward to reading more of Lichy’s work in this genre." Geoff Lichy is a graphic designer and photographer from New York's Hudson Valley. He occasionally writes short stories and is working on a few novels. As a musician Geoff has recorded and produced over 30 albums and EPs since 2006, contributing to over a dozen bands of various genres and playing multiple instruments.